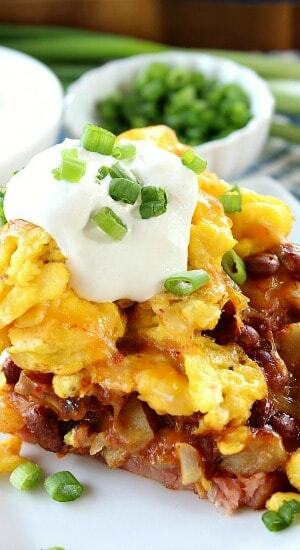 A hearty breakfast scramble served on the weekend is a great way to start off the day. 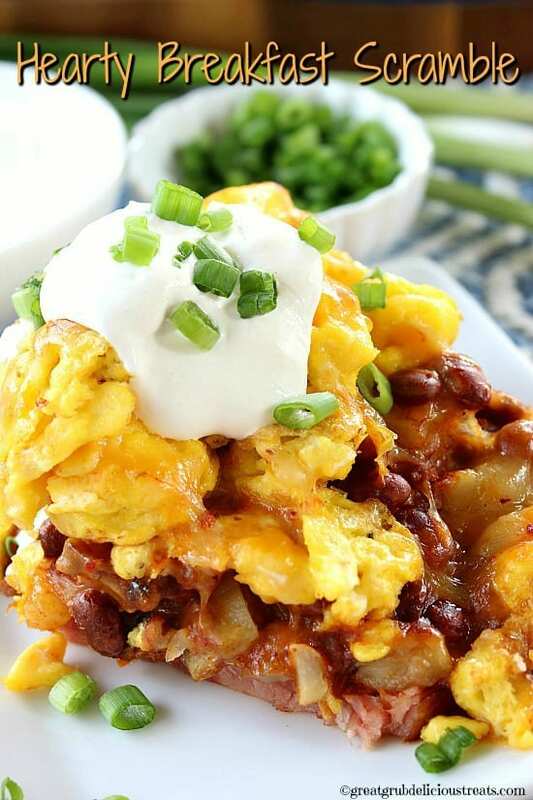 Actually, any day is a good day for this hearty breakfast scramble. 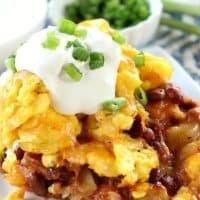 Loaded with ham, potatoes, chili, scrambled eggs, cheese and then topped off with sour cream and chives, makes one hearty delicious meal. 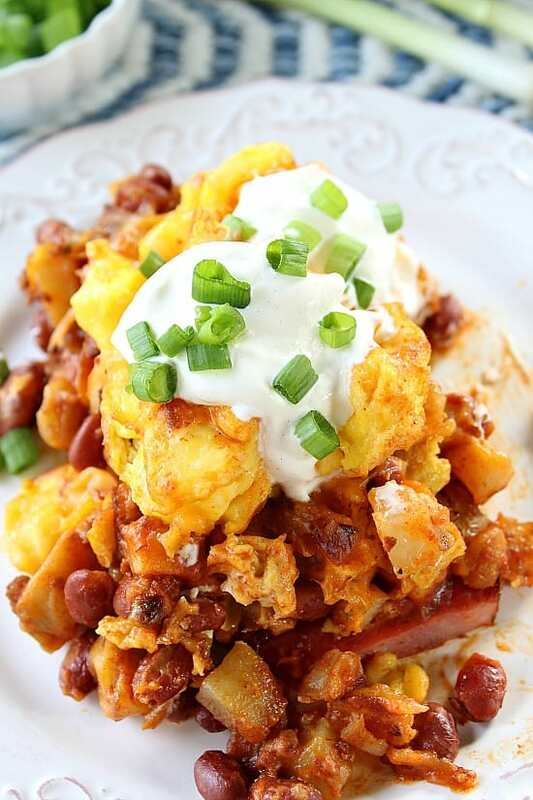 Usually the weekend is when cooking a big breakfast takes place in our home. Weekdays are way to busy and honestly, most days we don’t have time for breakfast. I mean, grab and go is what usually happens during the week. 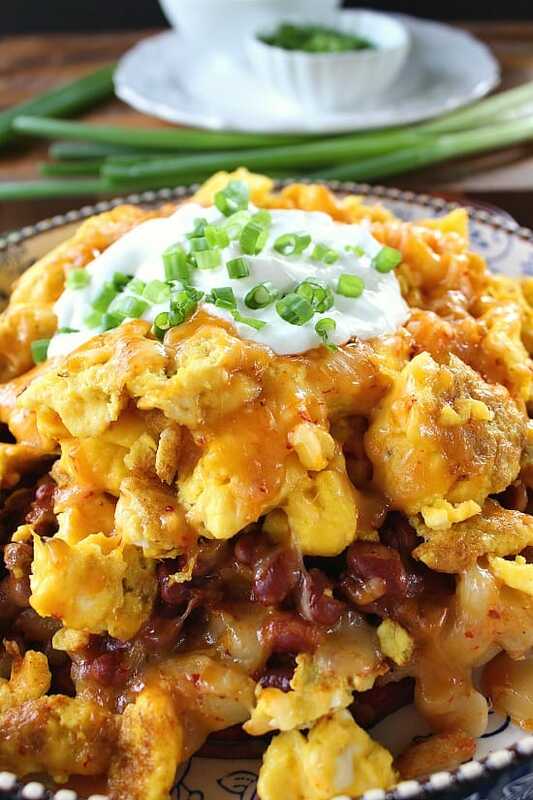 All you have to do for this hearty breakfast scramble is fry up a ham steak, cook some diced potatoes, heat up some chili, scramble a dozen eggs, add grated cheese and top with sour cream and chives. That’s it! Sound pretty easy? It’s not difficult at all and tastes delicious! 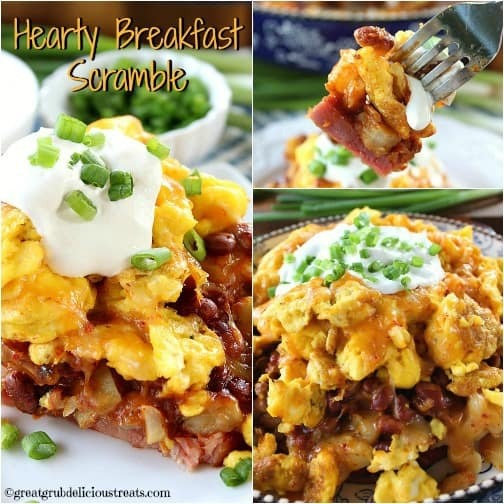 This hearty breakfast scramble is a bit on the messy side but that’s what makes it so delicious. If you love cheese, add more than the recipe calls for. There’s never too much cheese in my mind. 3 cups potatoes, cubed, seasoned with salt and pepper. In a large frying pan, add oil, cook potatoes with salt and pepper. 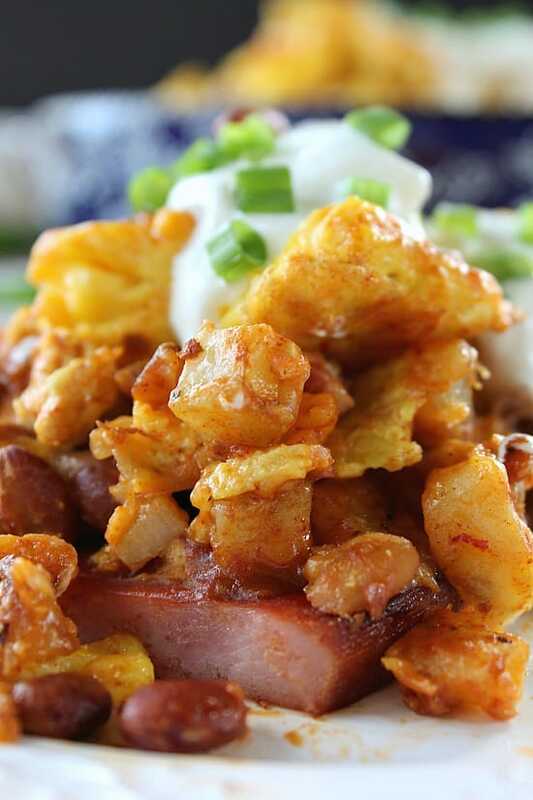 Add onions in the last 10 minutes of frying and cook until potatoes are crispy. Set aside. In another large frying pan, heat ham until heated thoroughly. Set aside. Heat chili in a medium saucepan until hot. To assemble, place ham steak on a plate or use a pie plate. 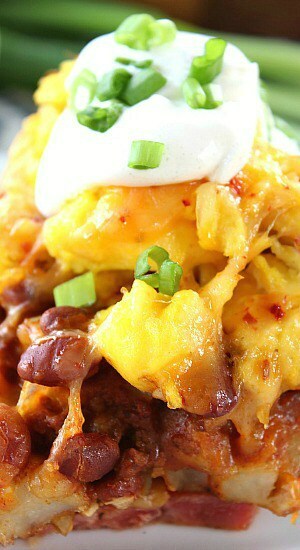 Layer cooked potatoes, chili, scrambled eggs, then top with cheese. Let cheese melt then top with sour cream and chives.